On the fifth day of the 888poker XL Blizzard Series, just two new tournaments were played. Let's take a look who were crowned winners in these events on Monday. 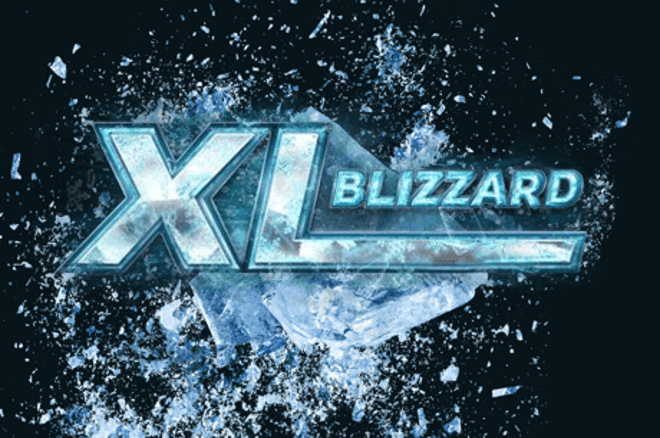 At 20:00 GMT, the XL Blizzard #14 - $30,000 R&A started with over 256 players. During the first hour, players did 161 rebuys and 150 add-ons for a small overlay and a prize pool of $30,000. For the winner, there was a first-place prize of $6,135 waiting. After several hours of play, it was Romanian player "ILovePickles" who finished the tournament in 37th place to bubble. On the final table, "23NoraB" was the biggest name. The Austrian regular is always there when there's a big series on the schedule, and was chasing an XL Blizzard title in this event. Unfortunately for them, they finished in seventh place for $1,050. Not much later, "Nordynordbrg" exited in third place for $3,390. The final heads-up was between Russia's "phervian" and "Yoshiaki97" from Peru. It was the latter mentioned who took down the title and the first prize of $6,135. There was also a Mini edition with a buy-in of just $5.50 to be played. In total, 1,003 players competed in this event, and they made for 637 rebuys and 470 add-ons. That made for a $10,550 prize pool with a first-place prize just over $1,899. In the end, the final three players shook hands to make a 3-way deal. The Canadian "chouinard8" got the most money ($1,548) and won the tournament after defeating "wildrado" in the final heads-up. The runner-up had to settle for $1,437 while third-place finisher "abhigarg" received $1,309.